It’s no mystery why hotels want shops on their properties almost as much as restaurants and bars. The best keep guests entertained (and on the premises), attract additional visitors (who may migrate to the restaurant or bar) and impart a patina of prestige to the property, not to mention forking over rent. But things can go horribly wrong, as the Carlyle Hotel discovered today. As reported in The New York Times, the Helly Nahmad Gallery, located in the luxurious Upper East Side hotel, was raided this morning by federal agents as part of an investigation into a gambling operation replete with high-stakes poker games, a Russian organized crime organization, Hollywood celebrities, Wall Street financiers and professional athletes. The investigation focused mainly on internet gambling and money laundering. More than 30 people were indicted, including a Russian man wanted previously in connection with his role in an effort to rig Winter Olympic figure skating competitions and gallery owner Hillel (Helly) Nahmad, the 34-year-old scion of a billionaire family of art dealers and collectors. Avenue, a throw-back to the days when Madison was an art market hub, home to the auction house Sotheby Parke Bernet and dozens of high-end galleries. But the Helly Nahmad Gallery occupies a prime piece of the hotel’s real estate on the corner of 76th Street and Madison. In palmier days, the windows showcased a hint of what was inside, namely blue-chip works by late-19th- and early 20th-century masters like Balthus, Francis Bacon, Marc Chagall, Jean Dubuffet, Marcel Duchamp, Henri Matisse and Picasso. 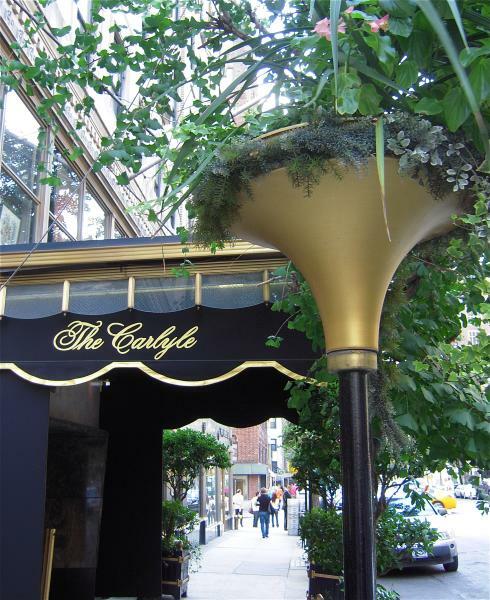 The Carlyle has long embraced its retail shops, which include designer boutiques for Vera Wang, florist L’Olivier and Yves Delorme linens. All are mentioned by name as amenities on the hotel website. Comments on the Times website indicate readers clearly associate the incident at the Nahmad gallery with the hotel. Industry analysts say hotels should use care when selecting a shop for the property. “If you have Ferragamo or Gucci or Chanel in your hotel it gives your hotel a bit of cachet,” says Chekitan Dev, a professor at Cornell University’s School of Hotel Management. A gallery run by the scion of a family worth an estimated $3 billion – what The Art Newspaper calls “one of the most powerful art-dealing dynasties to have emerged in recent decades – would seem a sure-thing showpiece for any hotel. Update: Gallery owner Hillel (Helly) Nahmad was found guilty to a charge of operating a gambling business and sentenced to a year in prison on April 30, 2014. The gallery is still at the Carlyle. A Cameo Appearance by The Plaza in Amor Towles' New Bestseller "Rules of Civility"
That does sound depressing, doesn’t it. Thanks, Hillary. Thanks. Nice reported piece, facts and writing. Not your ordinary hotel Web site.